HUAWEI recently released a new pocket WiFi Hotspot for E5 Family. The model number is HUAWEI E5756, take notice, it’s HUAWEI E5756 42Mbps Pocket WiFi, not HUAWEI E5776 4G 100Mbps LTE Pocket WiFi. Frankly speaking, we feel glad that HUAWEI products are more and more user-orentied and focusing on the market demand. Someone may say HUAWEI E587 is already a pocket WiFi for 42Mbps based on DC-HSPA+ technology. With external antenna and support 5 users, it almost the top configuration of HUAWEI 3G Pocket WiFi. From HUAWEI E5756, we could see something special, that’s why we say HUAWEI is paying more attention to users and market demand. 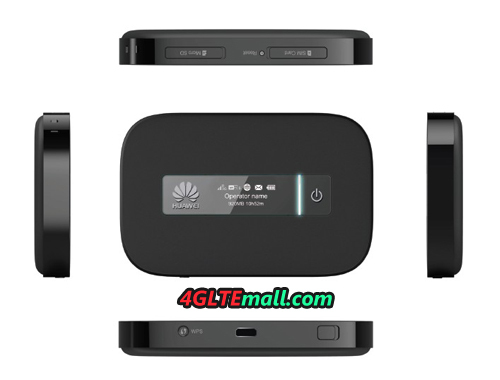 HUAWEI E5756 incorpates the basic functions of 3G portable WiFi Hotspot, supporting 5 users to share WiFi network, easy to take in pocket size, LED screen to show the connection status and operator information. One key special feature is that except 3G Router function, HUAWEI E5756 could also work as a mobile power bank. What a amazing! Perhaps many users are feel tired to take a iPhone, iPad or other electronics outside. To keep the electronics continuous power supply, they must take a power bank, but more importantly, to keep them connected with network, a portable WiFi router is a necessary gadget. So they want less weight in their bag, Huawei finds this demand, and combines the router funtion and power bank function into one. Then HUAWEI E5756 HSPA+ 42Mbps Pocket WiFi and Power bank is born. 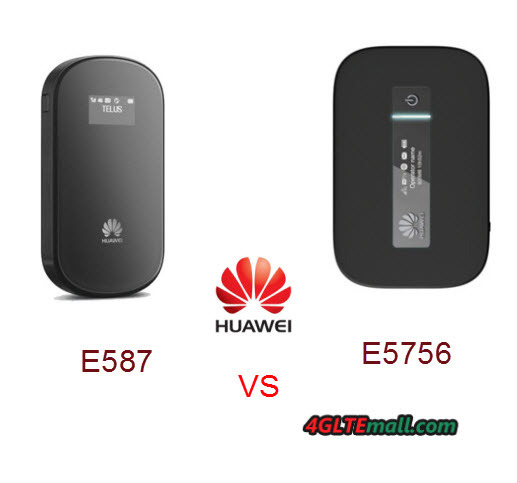 Looking at HUAWEI E587 Mobile WiFi Hotspot, it could only work as 3G WiFi Router, so the mobile power function is key difference between HUAWEI E5756 Pocket WiFi. If you have opportunity to choose between them, which one you will take?